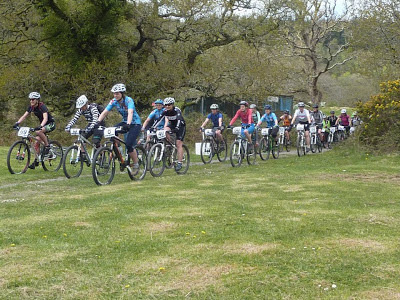 Newnham Park, Plymouth, Saturday 4th May - Sunday 5th May 2013. 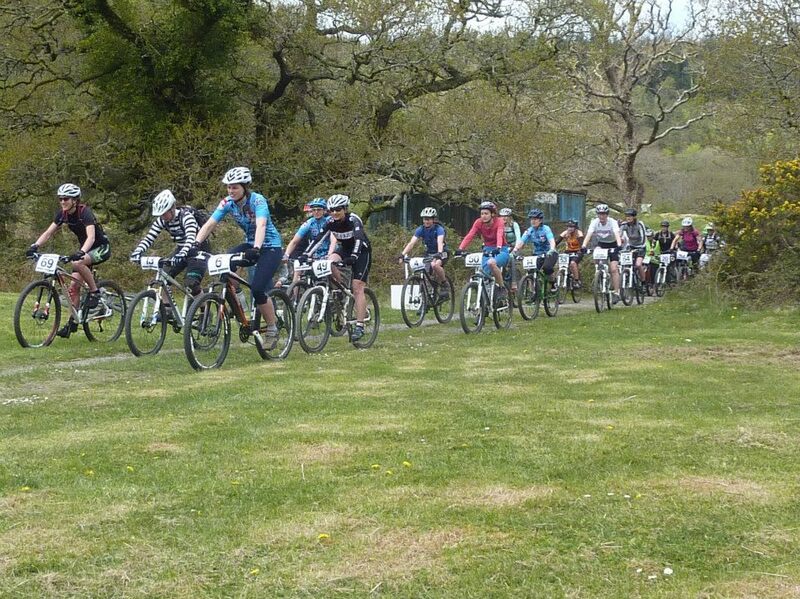 This weekend held the first ever Filthy Foxes Dirty Weekend at Newnham Park, with all women! With roughly 50 women at the event, it was a huge success. 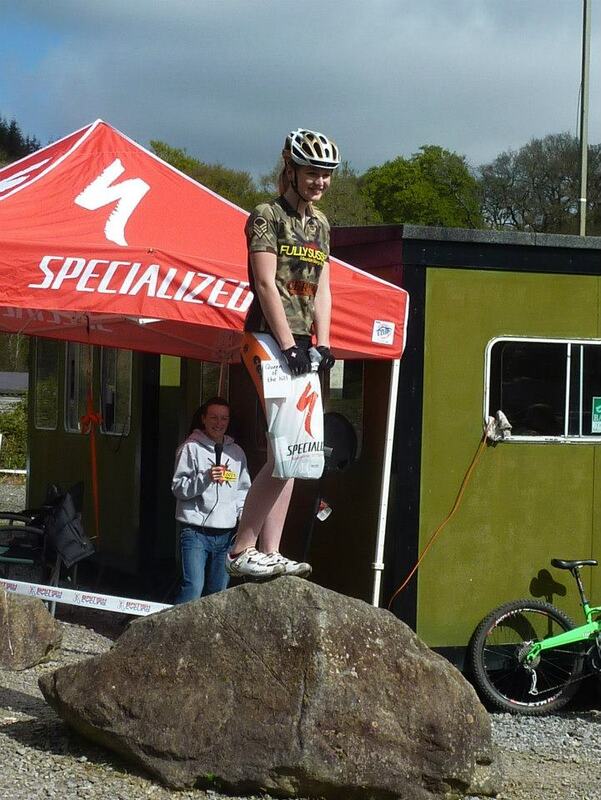 Maddie and Jay from Fully Sussed lead the two day event including running and mountain biking. Unfortunately I missed Saturday morning because of my club ride, but I heard from the women that took part, that the morning was full of useful skills and lead rides, plus some bike maintenance sessions. To start with the weather wasn't on their side which didn't sound so good, but then it decided to appear when I arrived (I obviously bought it with me). It left me with some lovely bright pink tan lines and I noticed Kim even had a sneaky sun bath on her deck chair... well deserved after the busy weekend. Me and my mum, Penny, arrived just in time for the 5km run. 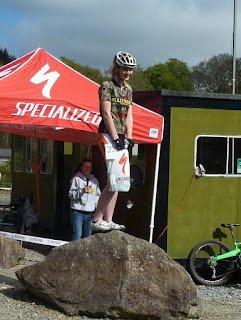 It was my first ever running race (excluding year 6 sports days) and I've only really run before if my bike gets a puncture, so this was an unusual experience for me. Having shot off from the start line, I thought it wasn't too bad... but after about a metre I almost died and realised that I had to pace myself if I wanted to get round - I forgot that I wouldn't get a rest going downhill (unlike cycling). Once, I got into it I found I could run down the hill shouting "weeeeeee" and started hopping over all the obstacles and branches like a mad woman. Fay Cripps and other super speedy runners came past me looking like they were just floating over everything. Luckily, Sabine Lengger let me follow her tail up the hill, which meant I didn't do badly in the end and was very happy with my result. Also, my mum said she was going to walk the whole course, so I was waiting at the finish line expecting her to come speed walking in, and in she came running faster than ever, having a sprint finish with Rebecca Crosley! Well done mummy and Rebecca! Later that evening was the question and answer session, with me, Kim and Joe. Everyone was really friendly, listening and contributing to our answers and it was really nice to share my opinions with everyone. Plus, Joe was very inspiring with the talk about her running across the desert with rations of water! Truly an incredible athlete to talk to! I felt very privileged to sit on the hot seat in between her and Kim. 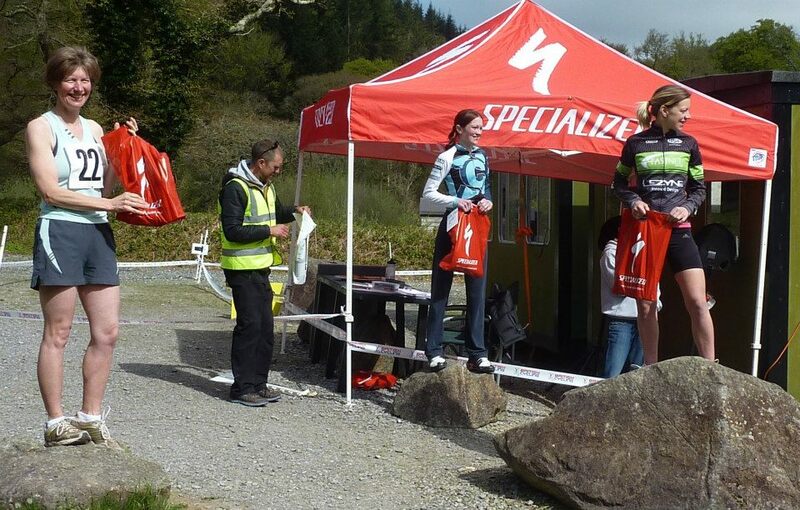 Sunday started off with the "Queen of The Hill" - a competition where cyclists versed runners up the steep gravel hill. One by one, the cyclists set off to next to the runners and tried to get the fastest time. This was a really funny event to watch and take part in - although it saddens me to say that eventually the runners took the title for winning the most sprints. 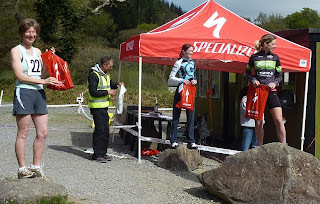 But I got the fastest time up the hill and got to go on the podium, winning a bottle of bubbly and some lovely goodies - thank you Maddie and Jay! After just about recovering from that, we then had the 25km Bike Challenge. The course included nice flowing tracks, a refreshing river crossing, before a challenging up hill and some fun single track down. This was a really fun and flowing ride, where people were determined to complete anything from 5km to 25km. Although not a race, I do get a bit competitive and wanted to grab the fastest time, with Fay and Donna right on my tail. Others also grabbed great times and distances - Katie Standen really impressed me in the cycling challenge with her determination to complete 25km! It was really nice how polite and friendly everyone was, people edging each other on. Plus, lots of smiling and giggling! I want to say a massive thank you to Maddie and Jay who made this event happen. Also, for the volunteers, marshals and sponsors that helped. It was SOOOOO much fun!!!!! Many thanks to Rob Smith and Zach Winsley for your photos. For more results and photos from the event click here.